Wednesday 19 September 2018 could mark one of the most important days in Solomon Islands football history as the national U-16 side take on Fiji for a place in the FIFA U-17 World Cup. Coached by former international Stanley Waita, who significantly contributed to the story of Solomon Islands football as a player, the opportunity for his team to do what he and his teammates couldn’t is there for the taking. Solomon Islands romped through the group stage scoring 15 goals without conceding once to top Group A ahead of tournament favourites and defending champions New Zealand. Despite the relative ease in which they progressed to the semi-finals, Waita is by no means taking this next game lightly. “I think this will not be an easy game,” he stated. Solomon Islands made the semi-finals of this tournament in 2017, missing out on a place in the final after going down 3-2 to New Caledonia. Prior to that, their last appearance in a final at this level was in 1993, a match which they lost 3-0 to former OFC Member Association Australia. Waita is confident that his young side can draw on the home crowd support and the missed opportunities of their peers to send Solomon Islands to its first football world cup tournament. “I think we are looking forward to the game and in the camp everyone is looking forward to it,” he said. 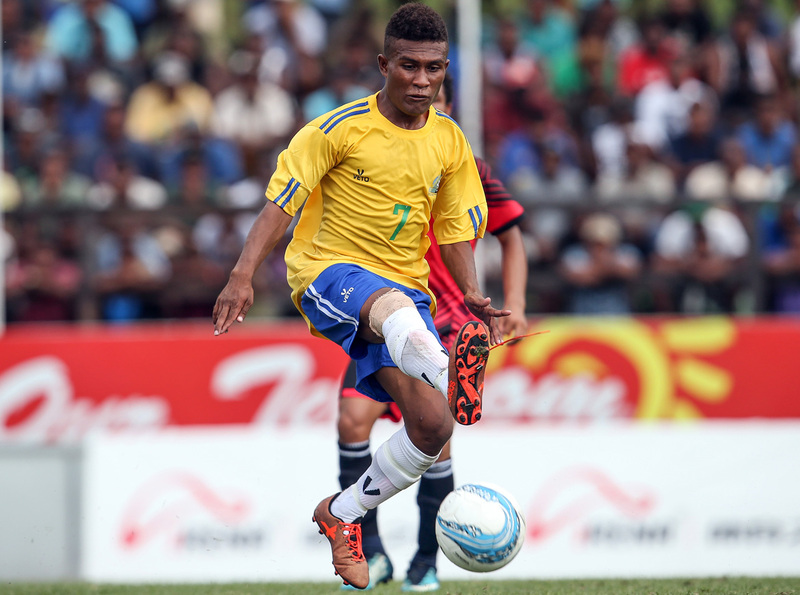 But Solomon Islands will be up against an equally determined opponent in Fiji, another nation that has promised so much at youth level but missed out by the narrowest of margins in recent times. Fiji’s path to the semi-finals wasn’t quite as straight forward as their opponent with Group B throwing up some surprises. Their opening match against Samoa saw then forced to dig deep in the second half and pull themselves back into contention after allowing their opponent to take a 2-0 lead. Fiji showed their resolve coming back to secure a 3-2 win but it was by no means an easy feat. They then lost their second match to eventual group leaders Tahiti which meant they needed to get a result against New Caledonia in their final match if they were to continue in the competition. Fortunately for coach Yogendra Dutt, his side proved they were worthy of their place in the semi-finals after securing a 1-0 win to set up their semi-final showdown with the hosts. “This tournament is a bit different to some of the previous ones with the set of boys that we have,” Dutt said of the run of luck Fiji has had at regional youth level since qualifying for the FIFA U-20 World Cup New Zealand 2015. “Although we have different resources, the way they play, the way they have taken the commands from staff, we are very proud of their work on the field,” Dutt continued. Like his opponent, Dutt believes tomorrow’s game will be the toughest encounter yet. “It will come down to how we prepare for this match, especially mentally,” he said. “I’m not new to Solomons – the people from Solomon Islands love football, the crowd loves football and Lawson Tama is a great place to play football.